This is actually a very very simple restaurant review: [Ikeda](http://www.london-eating.co.uk/1981.htm) has the best sushi I’ve had outside Tokyo. Period. When (shouldn’t be “if”!) you go there for a first time, say Omakase! 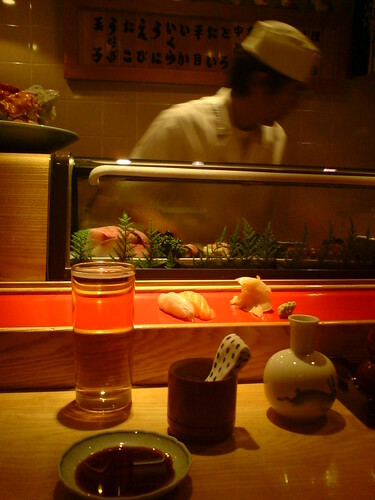 *, sit back and watch the chef’s choice of freshest sushi and sashimi magically appear on the red counter pictured above. Apparently Ikeda has been around for 25 years already. And there is a reason why. The way I met this book is quite as bizarre and coincidental as David Mitchell‘s writing itself. I happened to finger through a flight magazine (probably SAS, and probably Copenhagen-London) and stumbled on a brief book review of something that sounded like “fast-paced cyberfiction set in modern Tokyo”. Given my childhood love for anything cyberpunk and that I was just freshly under Tokyo influence, I really wanted to get that book. Alas, I immediately forgot the title. Weeks later, I was walking down Market Street in downtown San Francisco, to get my rental car from a parking lot and drive to SFO to fly out. I passed a small bookstore and somehow the memory of that review crawled out from the back of my brain. I entered the store, still clueless on what to look for and spent probably half an hour googling various combinations of “tokyo dream 9 nine cyber fiction” type search strings on my Blackberry. Once I finally found the name of Mitchell, I also found the M-shelf with the last copy of the book. 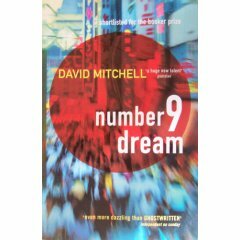 number9dream is all about this sort of seemingly coincidental events by themselves, set physically and situationally well apart, but building up to a great storyline of Eiji’s quest to find his father from the faceless concrete maze of Tokyo. There is a hint of technology playing it’s part (as it is in our lives), but it is not pure cyberfiction per se (if that’s what would scare you away from reading it). If I could think of the most kliché-ridden way of describing the stylistic mix, I’d say that number9dream is William Gibson meets Lost meets Robert Ludlum meets Kazuo Ishiguro meets your favourite yakuza manga and then a black and white Japanese 2nd World War movie to top. Mitchell’s command of detail and dialogue is stellar and his time spent as an Englishman in Japan brings a distinct angle of knowledgeable but still a bit distant outsider reporting to the whole thing. The only thing this book could live without is the sidestory of Goatwriter, which feels like an artificially attached showoff of Mitchell’s ability to also switch easily from minimalistic japanese translations to archaic few dozen syllable phrase constructs of a victorian fairytale. 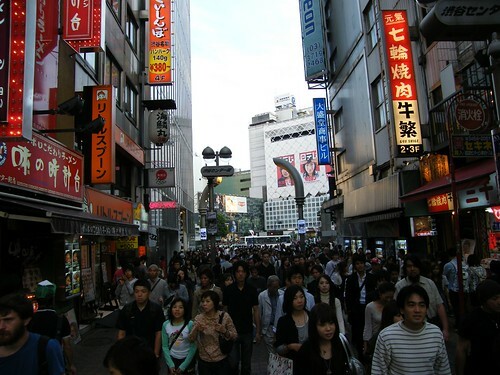 Spent a few days in Tokyo. Finally. This place is now officially number #1 in my World Cities toplist. And frankly – I was sort of expecting (or hoping?) this to happen. The Skype Developer event I was attending there was a huge success with great turnout of interesting partners. Everything else in the counted few days before and after was just mind-blowing. I need to have the thoughts and emotions settle a bit to blog anything sensible. Until then, you have to live with the photoset. My special thanks go out to German customs who were so happy to see me back in Europe that they decided to welcome me with some extra taxes + a 350 EUR fine, because tumbling off a 12 hour flight I did not voluntarily land in the red customs corridor while I had a certain new gadget in my bag with purchase value exceeding 175 EUR. Did you know that this extremely low threshold is applicable to “all other items not listed explicitly like alcohol and tobacco” in whole EU? I do now. Hier, nehmen Sie meine Kreditkarte.